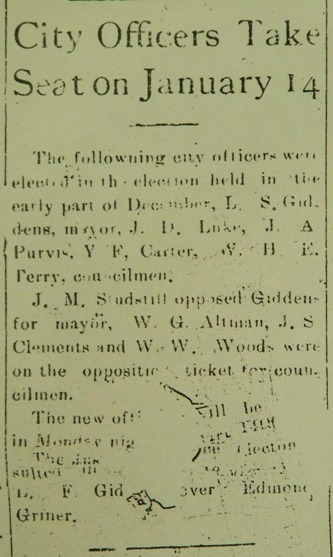 The followning city officers were elected in the election held in the early part of December, L. S. Giddens, mayor, J. D. Luke, J. A. Purvis, Y. F. Carter, W. H. E. Terry, councilmen. J. M. Studstill opposed Giddens for mayor. W. G. Altman, J. S. Clements and W. W. Woods were on the opposite ticket for councilmen. The new officers will be sworn in Monday night –text illegible– L. F. Giddens over Edmond Griner. 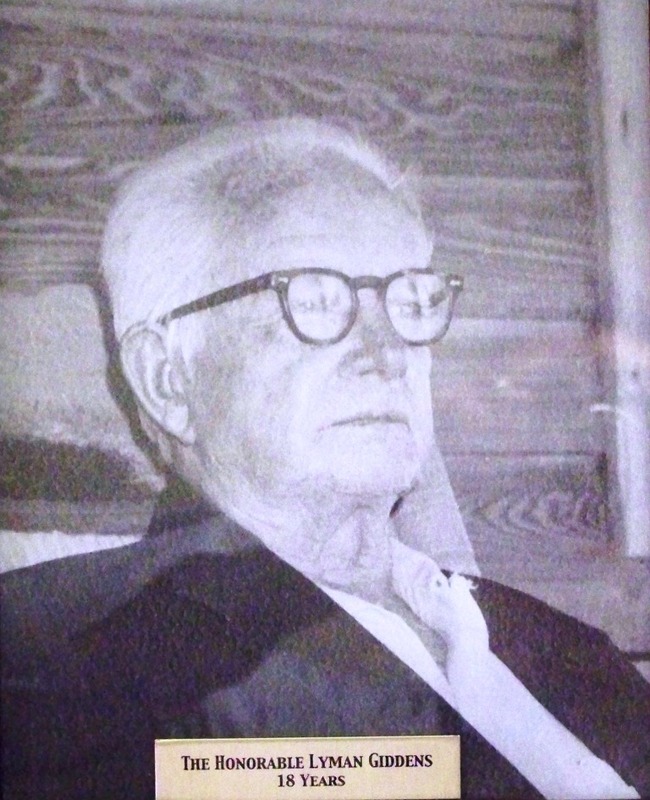 Mr. Lyman F. Giddens – better known as “Judge” – served the town as mayor, city clerk and justice-of-the-peace. As mayor he was involve in the effort to bring a power plant and electric lights to Ray City, GA.